What exactly is brand value? And how do we shape it in our marketing, and the way we do business? This is of special interest to us marketers, because a brand is not a tangible asset. It can’t be weighed, counted, and tallied like iron or corn. Its value exists only as far as it is perceived by the market at large. This is where professional marketing and strategic design play an important role. Especially when it comes to corporate video production. 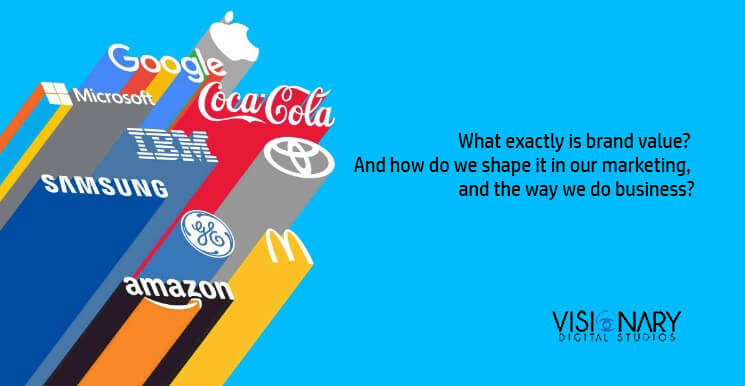 How does marketing increase the value of an intangible asset like a “brand”? Well, skilled marketers can enhance the experience of prospects when they come across you. As well as enhancing the experience of customers when they are working with you, and when they are using your service. This is where the quality of your marketing assets comes in. There are entire industries – fashion, for example – built around the fact that people value things that look good. A Burberry jacket has no practical advantages over a Tesco jacket – sometimes even less. However, buyers will clamour to pay ten times for Burberry what they would in Tesco. Because the brand image provides an experience of being premium by association. It’s also important to understand that brand value is not an inherently deceptive idea. Many more hours, more skill, and much more expense go into designing and producing a Burberry jacket; the investment on behalf of its manufacturer is far greater. 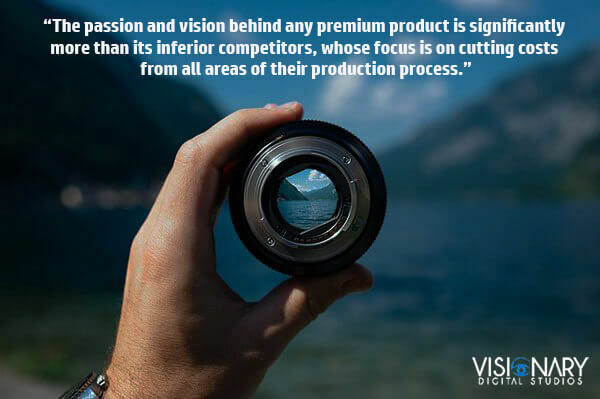 The passion and vision behind any premium product is significantly more than its inferior competitors, whose focus is on cutting costs from all areas of their production process. As such, quality is understood as proportionate to the resources, wealth, and skill of whoever produces it. These are all attributes that add to a company’s perceived brand value and marketability. You definitely want them working for you. Modern design is an art that makes brands FEEL established, credible and premium. – “White Space” or “Negative Space”: This technique is about leaving scenes uncluttered, with minimal detail. Due to the lack of detail, the audience naturally perceives that the product or service simply “speaks for itself”. – Thick line weight and simple iconography: Similarly, design-savvy brands use thick line weights and simple icons to sub-communicate that they are cutting-edge and modern. – Slick Transition Effects: The transition effects between scenes makes the brand being animated FEEL a certain way, whether it be “cool, “futuristic”, or “premium”. These transition effects are one of the major differences between professional Animated Explainer Videos and videos with no strategic design concept. The impact on an audience is marked, and you can notice this emotional effect in yourself by comparison. – Inspirational Music: The soundtrack has a profound impact on the viewers perception of the brand. For more detail on this, see our article on Strategic Soundtrack choices here. Video has an inherent sensory impact that adds to the emotional experience of your content. Music, movement, colour, and voice all work together to provide next-level communication and persuasion. This rich experience reflects positively on your brand as a whole. It steps up your perceived value and gives the impression of quality. More than this, video is an opportunity to open a window into your corporate culture. With quality character design, great voiceovers, and strong art direction, you can make your audience feel like they’re getting a first-hand look into the world of your business. This helps you build trust, compliance, and a real connection with your audience. Want to see some examples of premium design in action within Animated Explainer Videos?